What is healthier - juice or smoothie? Home > Food & Recipes > What is healthier – juice or smoothie? Different experts will probably give a different answer to this question. But all will agree on one thing – the choice between juice or smoothie depends on what your goal is. 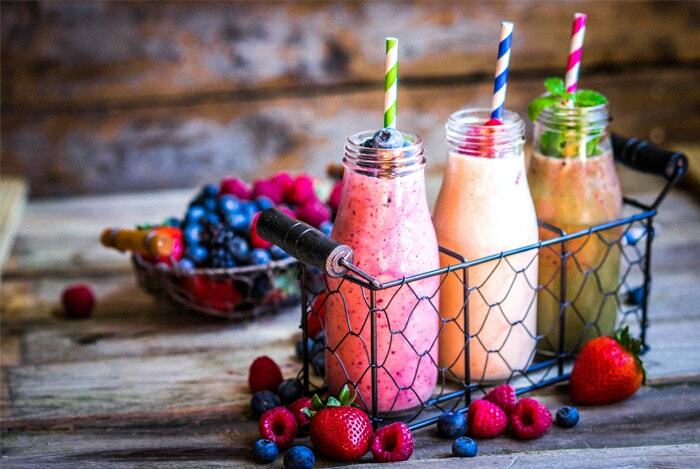 Smoothie is a mixture of whole foods, which means that you retain all the nutritional compounds from food. One of the most important benefits of smoothies is that you can add whatever you want (yogurt, protein powder and the like. Smoothie can be an excellent replacement for the usual meal, particularly preferably after exercise. On the other hand, if you make a smoothie with too little food, you will not enter the correct amount of nutritional compounds. Also, if the smoothie add too much food, you could very easily bring too many calories. Some people forget that the smoothie meal replacement drink it with a meal or after a meal, which has consequences as if you ate two meals. This can make it difficult to lose weight and keeping a healthy body weight. Juices are a great choice for people who do not have the habit to consume fruits and vegetables. For them, juices are excellent quick solution because you can eat normally, but the juice will satisfy the body’s need for fruits and vegetables. Juices are highly concentrated, which means it is a very small portion needed to get the same nutritional properties as when you eat the whole fruit or vegetable. However, the juices have one major drawback – do not contain fiber. This means that the juice will create a feeling of fullness, as it creates a smoothie or whole fruit and vegetables. Fiber is essential for the proper functioning of the digestive system and prevent digestive disorders, a recent study has shown that fiber reduces the risk of occurrence of heart disease. Previous: Women hair loss: When it’s time to worry? Do not forget to stretch!